Whether you have a small business with a single location, or a large enterprise with multiple branch offices, you need a firewall that provides the performance and cost that fits the needs of a small office, yet delivers enterprise-strength security without compromise. The ASA 5500 Series Adaptive Security Appliances were designed with this in mind. They are available in a wide range of sizes and performance levels to fit your network and budget, while offering the same proven level of security that protects some of the largest networks at some of the most security conscious companies in the world. Whether you are a small business with a single location, a midsize business , or a large enterprise with multiple branch offices, you need a firewall that meets small-office performance and cost needs, yet delivers enterprise-strength security. Cisco ASA 5500 Series Adaptive Security Appliances were designed with this in mind. They are available in a wide range of sizes and performance levels to fit your network and budget. All offer the same proven level of security that protects the networks of some of the largest and most security-conscious companies in the world. The ASA 5500 Series Adaptive Security Appliances were designed with this in mind. They are available in a wide range of sizes and performance levels to fit your network and budget, while offering the same proven level of security that protects some of the largest networks at some of the most security conscious companies in the world. The ASA 5500 Series also scales to meet the performance and security requirements of a wide range of network applications, to correspond with your changing needs. As borderless networks continue to evolve, modern-day firewalls must expand to provide a full range of security services. They also need to span multiple platforms, technologies, and deployment scenarios - including physical and virtual platforms. Cisco offers a variety of security solutions to protect networks of all shapes and sizes. These solutions blend leading firewall technology with the security services required to protect corporate networks. 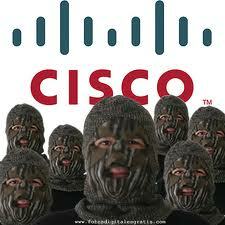 Cisco solutions also provide users with highly secure access to data - anytime, anywhere, using any device. Regardless of the form factor, all Cisco ASA devices use the same code base to help ensure consistency across physical, virtual, and cloud infrastructures. As a result, you gain the flexibility to choose the ASA form factor that best fits your network infrastructure and deployment needs, while creating an integrated, best-in-class security framework.